Whats going on guys? Am back with another top list. Today, I am going to tell you about 20 cool websites and most interesting websites on the internet to pass time if you are getting bored or in a mood of checking something interesting and unique on the web. There are millions of websites on the internet but here we collected the 20 most amazing websites or most useful websites of 2018. 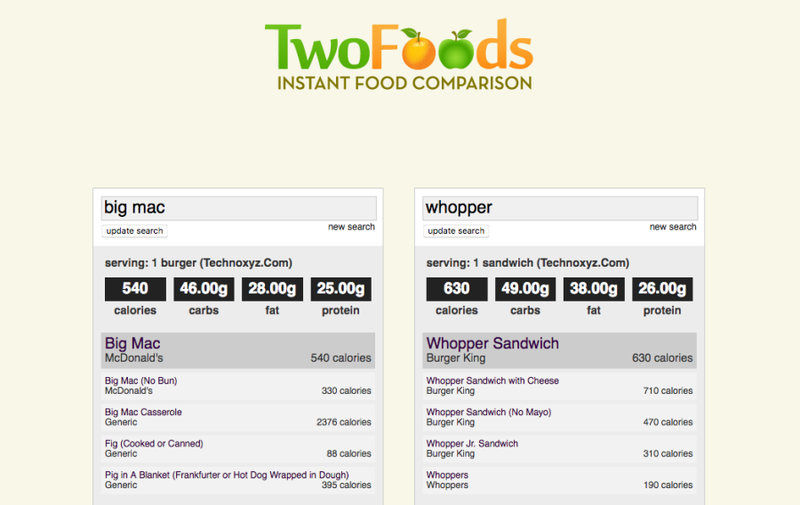 Two Foods is a food comparison tool that compares the nutritional data of two food items, so you can make healthier food choices. It couldn’t be any easier to use, enter a food item then enter another food item in the box to the right, then click on compare. You can also compare food from restaurants as well. Which one is healthier? a Big Mac from McDonald’s or a Whopper from Burger King? It looks like the Big Mac is the healthier of the two but not by much. When in doubt, when you can’t decide between two food choices, check out TwoFoods. This is one of the coolest websites on the internet. 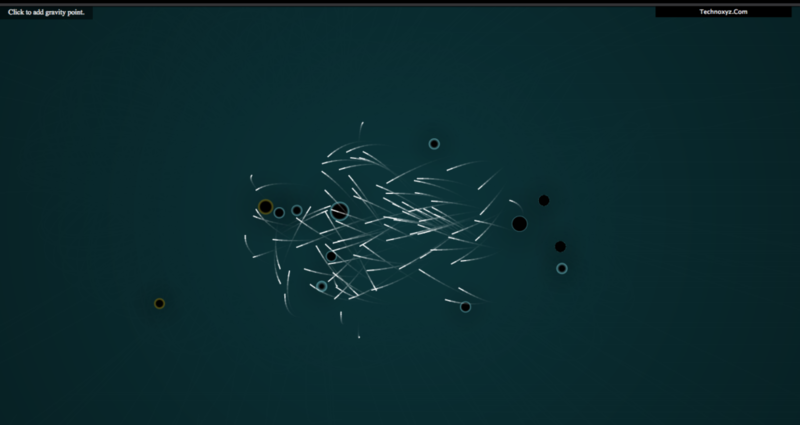 It will let you feel like a DJ, You can create your own electronic music with just a few clicks. 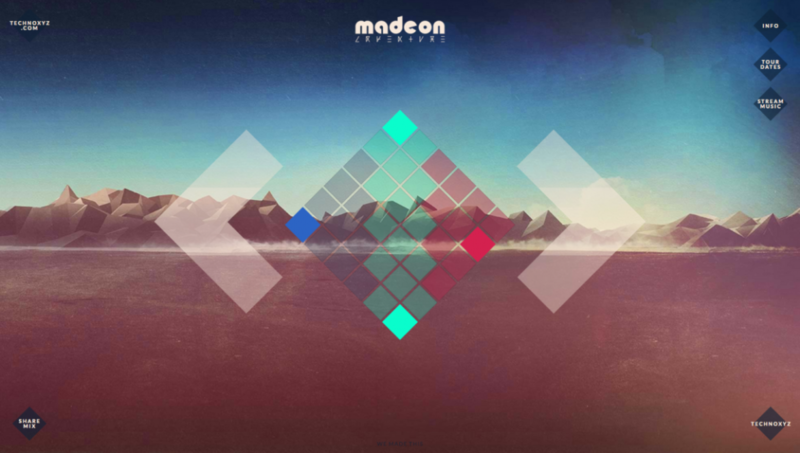 Once you open the site you will see some small square buttons in 3 different colors. First, press one of the blue squares, these are the drum loops, only one will play at a time, you can click on other blue squares to change drum loop. Now, press one of the red squares, these are the bass loops, only one will play at a time. Next, press one of the green squares, these are the sounds, up to 3 can play at a time. Now click on random squares to change drum loops, bass loops, and sounds. Cool, right? Let us know what you think in the comments below. contact number. 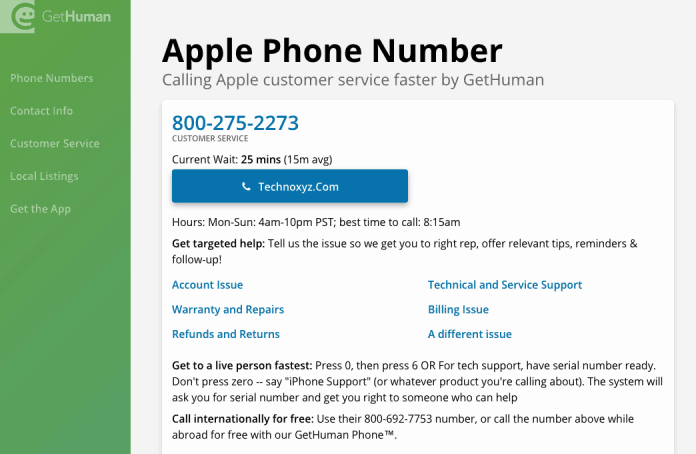 For example, if you want to call “Apple”, just enter the name into the search box, and that’s pretty much it. You will get the direct contact number of the company. Also, don’t forget to add a country code if you are contacting a foreign company. As well as forget looping through the system choices and talking with bots when you are using this service. We are talking about, getting a real person picks up the phone in the other end. I know you will love it! 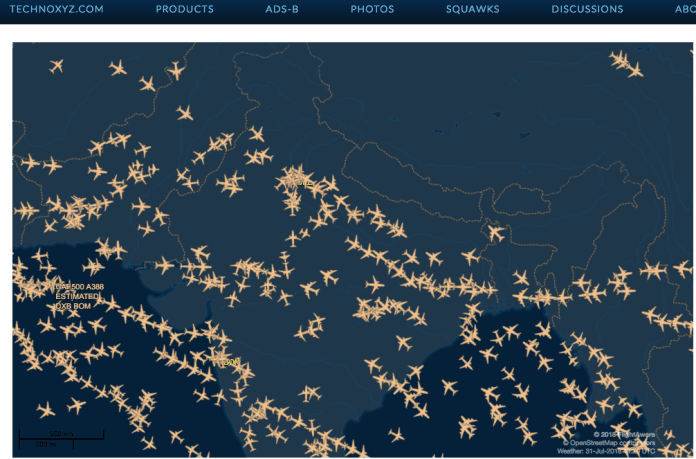 It is a very unique and amazing website, which allows you to see a live map of airplanes, that flying above your location. You can pretty much track any commercial aircraft that are up in the air in the entire world. It’s like turning your computer into a personal radar system. And wait, the features this website can offer you is more than this. You can also do things like flight finder, cancelation, airport delay, mystery map and much more. I am leaving that part to you, so you can explore more and enjoy. Receive SMS online is another amazing and useful website, which allows you to receive SMS. For example, an OTP for your phone verification. It’s very common these days when the signup process of different websites will ask you for your mobile number, in order to verify your account. But it also comes with great disadvantages as well. Once your contact credentials are being used in a Signup process of the particular website, you will start receiving their messages and in most case, these messages will be some kind of promotional content or even spam. And unfortunately, it’s very hard to disable these annoying messages manually. So if you care about preserving your personal number, you can use this website just like a disposable SMS service against spam. Just click on the number you wish to go with or choose a number from a particular country, and use it anywhere you want and get your thing done. Simply wait for a moment, and you will get the message delivered here. It acts like a genuine mobile number, so you don’t have to worry. Also, it is more important that please don’t use this service to spam others. file option there. 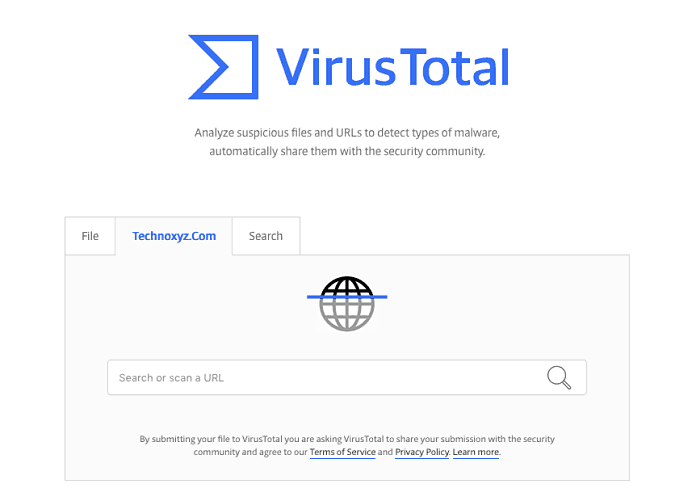 It will scan your file online for any virus threats. I know some of the modern antivirus software can offer a similar service, but, this one is totally free. 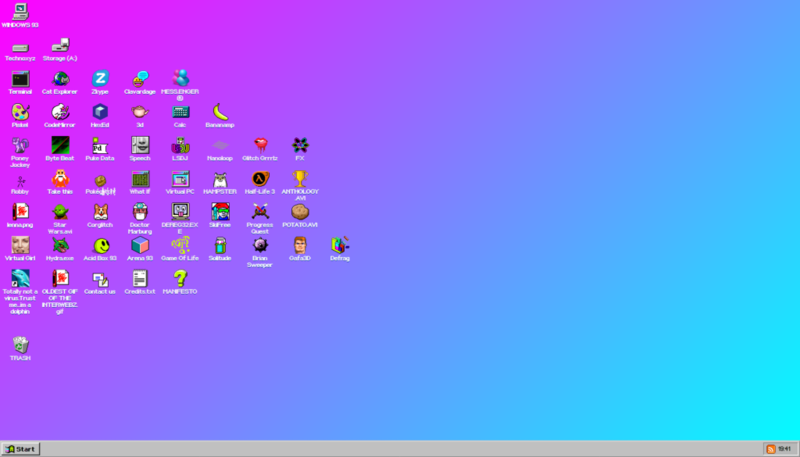 For this one, we welcome you to experience the Windows93, This can be the best way to kill your boredness, am sure it will make you happy if you are coming from a windows ecosystem. This website lets you use the Windows93 on your browser, Which means you can use pretty much every software and games that you had experienced in old days. It’s not real but it gives me a lot of good old memories back hope you will experience the same. Find the Invisible Cow is another interesting site which offers an interesting game, a game that we probably might not be experienced before. 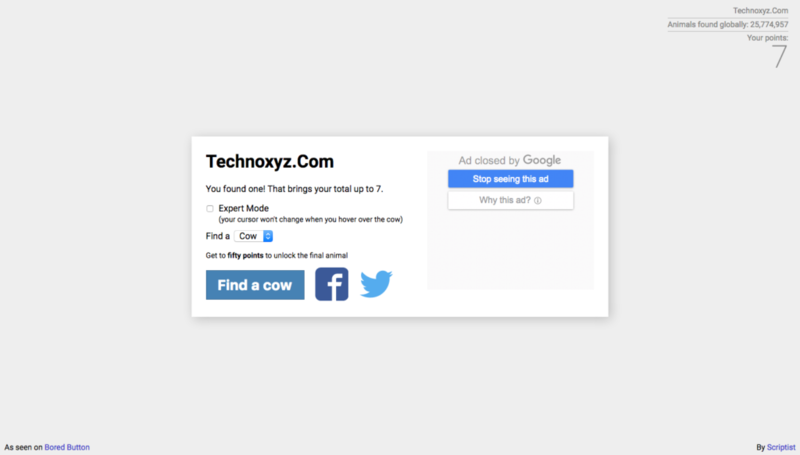 So simply click inside the website and you will hear the noise of the invisible cow, Which you will hear continuously each time when you click. If you hear a loud noise when you click it means the cow is somewhere nearest your cursor and if its low sound means its away. If you are smart enough you can track down the invisible cow within seconds. 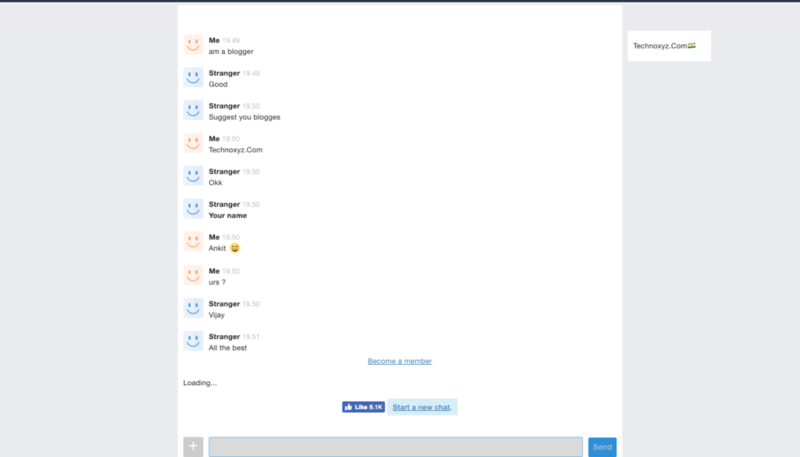 As the name indicate this site will let you chat with strangers across the globe anonymously, If you feel bored and want to chat with somebody this is the one for you, no sign-up or payment required, feel free to chat with anyone right away. It is a strange thing I have seen on a website so far. I would like to call it some kind of cosmic activity. Once you are on the site click anywhere to create a mass, now click near to it and they two attract each other and create a single mass. Go to this site and have fun with gravity. Type like a hacker in your computer from this website. Open this website into your browser and press keyboard keys randomly, and this will convert those keystrokes into some hacking codes spoof for each time when you pressing a random key. 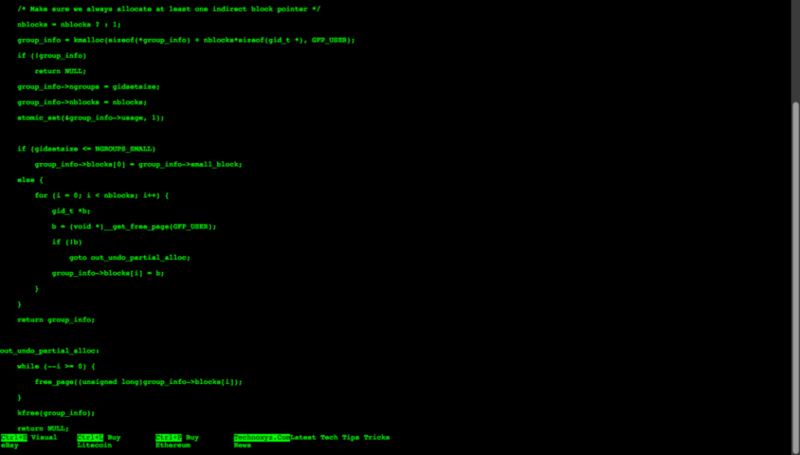 I can compare this viewing experience similar to a traditional Sci-Fi movies hacking scene. You can press the alt button to see the ultimate hacking message “ACCESS GRANTED”. Just type in something and it will make your letters beat. I don’t know how it works but they have done a good job. 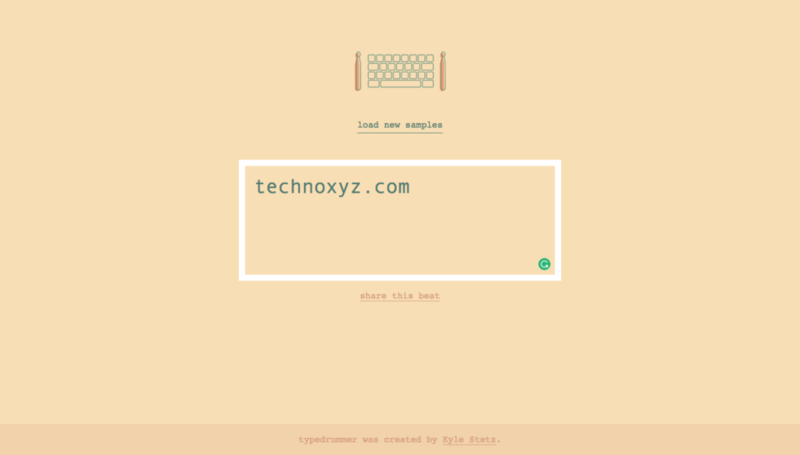 This interesting site lets you play drums while typing letters, so go on and kill your boredom. Geoguessr is a game for those who do care about geography and have some serious knowledge of it. The game is simple as it sounds, the player needs to guess places shown on the site by simply selecting the guess as of their answer from the map. This game is completely based on Google Maps, The game is available to play in 2 different modes – Single player and Challenge Mode. I see on the challenge mode it must be some kind of online multiplayer, But I haven’t tried it yet hope you will figure it out. Youtube Map Explorer is a very unique site which provides service that we might not be seen before. You can explore Youtube on a Google Map. You can just click on any specific or random location on the map and it will show you a video that uploaded from the particular location. So it’s a new way to interact and explore new videos on Youtube. You can also switch between the latest and classic mode by simply clicking on the switch on the upper left corner. It’s a way to choose whether you want to watch a newly uploaded video or vice versa when you click on a location. 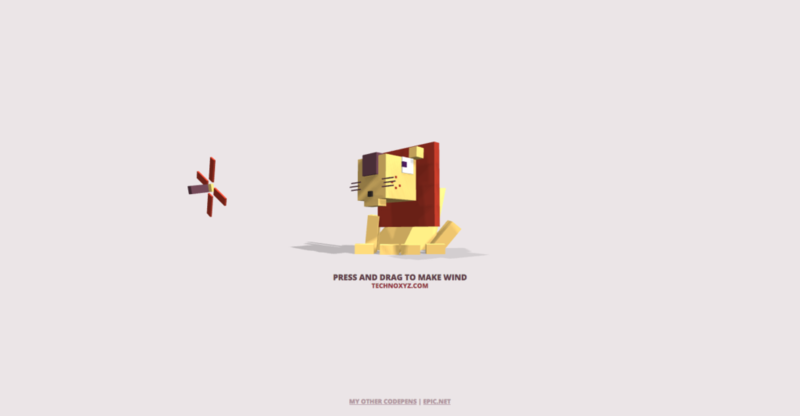 Chill the Lion is a cool CSS experiment. Once you are on this site the lion will follow your cursor which is actually transformed to your fan at this point. To start the fan you can click and hold the left mouse button, now point the fan from any direction or distance towards the lion to chill him up. Have you ever thought to zoom in around to our galaxy from our computer browsers? Well, it is possible now. 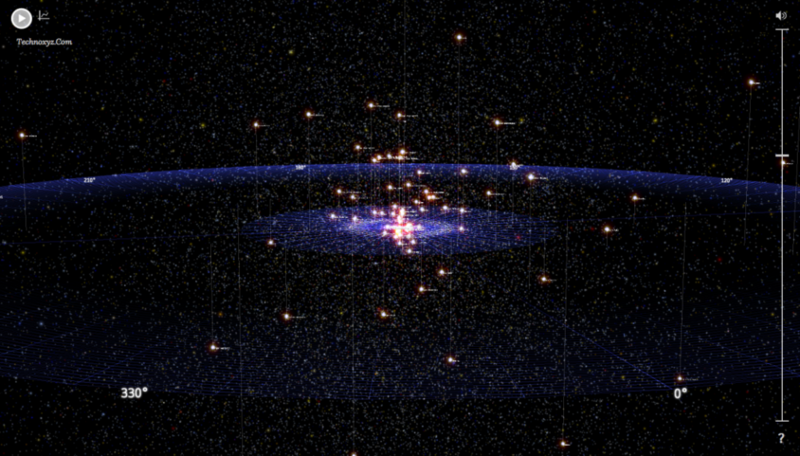 Go to Stars (Chrome experiments) and experience our galaxy in a new way. It contains our entire galaxy on a single page, you can zoom in around and find things you have never seen before. You can find a detailed description about a particular star or planet by just clicking on them or they have the audio tour option which will take you to several places and levels in our galaxy and show you around with some serious explanations. This site is packed with tons of information that is ready to be consumed. So start exploration and gain some serious knowledge. 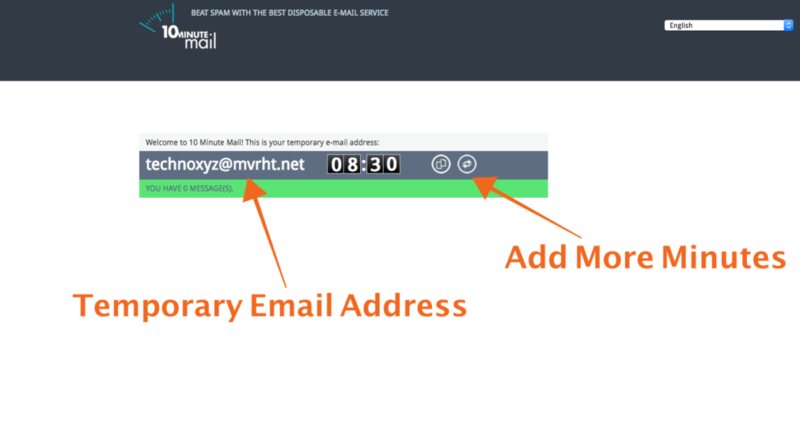 This website is a disposable mail service for beating spam, or rather we can say it’s a temporary email service which lasts only for 10 minutes from the moment you enter the site. If you don’t want to give your real email id to someone for some reason, this site will help you. Goto this site and use randomly generated an email for whatever purpose. It will help you to take a step forward to avoid spam, and if you want to use this service again just reload the web page. This site will let you download official android apps into your pc directly. 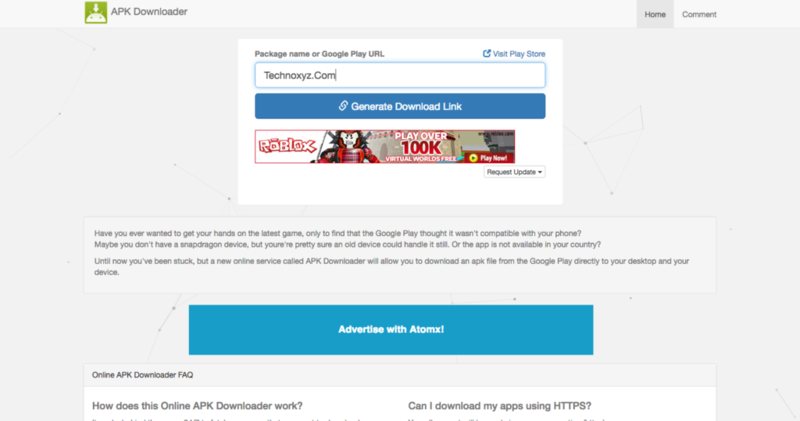 Just copy the package name or Google Play URL into the box for downloading the app. Once you pasted the URL click on the generated download link button and then you have to click on the newly generated green button and you will see the App file (Apk) will start downloading into your computer. 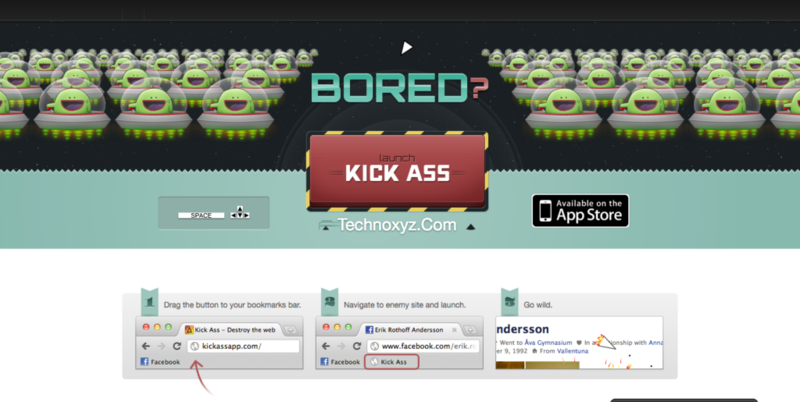 Destroy any website with this website. It is just a prank but its fun. Open this website in your PC and drag this red button to your bookmarks bar. Now open any website and click on the bookmarked button and you can easily destroy any website using keyboard arrows and space button. It is a spaceship and you can use the space key to shoot the site elements and the left & right arrow keys will let you control its directional movements while the up & down arrow keys will play as the accelerator and brake. It’s really fun to destroy websites, and if you have some free time definitely go ahead and try this, I hope you will like this. LiveATC Provides live air traffic control short for ATC, Broadcast from air traffic control towers around the world. So if you interested to know something about this kind of things its definitely another cool site. Let us know your favorite one in comments below, also if you have any other cool or interesting website which you think it must be on this list then feel free to share with us in comments below. CrazyLoots Team Provides Best Offers and Deals For Online Shopping, Tricks, Offers and Deals Via High Authorities Websites Amazon, Flipkart, and More. Most Important You Will Get MRP Error, Bug and Freebies Products. CrazyLoots Team is Best For This Particular Type Of Website In This Arena. I am Following This Website Since One Year, and I am Very Excited To Share With You. Mine Recommendation Follow His Telegram Channel That is Best To Follow and Updated With EveryThing. So, Don’t Waste Your Time on Thinkless Shopping Visit Now and Avail Offers. of knowledge, so it’s good to read this weblog, and I used to go to see this blog everyday. i need on your blog post site Do you have more site please send me your site list with price. Excellent Article. I found some of the site really having cool designs. Thank you for sharing. I read this post completely on the topic of the resemblance of newest and preceding technologies, it’s awesome article.